This section lists key publications relating to the theory or applying the theory to specific issues such as cigarette addiction. 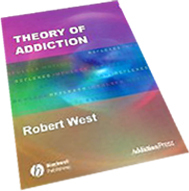 The main description of the theory is in West R (2006) Theory of Addiction. Oxford: Wiley-Blackwell available from Amazon (link).